Wates Group has been appointed framework contractor for the restoration and renovation of a series of buildings on Parliament’s Northern Estate. The business is now interesting in meeting with suppliers nationwide to assist with the programme. Wates Group has been appointed framework contractor for the restoration and renovation of a series of buildings on Parliament’s Northern Estate. The business is now interesting in meeting with suppliers nationwide to assist with the programme. The comprehensive refurbishment will help restore and maintain a number of Parliament’s listed heritage buildings in Westminster, including Norman Shaw North and South, 1 Parliament Street and 1 Derby Gate. The work will ensure they are safe, accessible and efficient for future generations. The Programme will also help ensure that there are suitable spaces and facilities for the House of Commons to temporarily move out of the Palace of Westminster while it undergoes a multi-year programme of restoration and renewal in the mid-2020s. The buildings, built between 1864 and 1906, currently provide office accommodation to over 950 people, but many have had no significant investment for many years. The work on site – which started in 2019 – will also increase the capacity and standard of office space, delivering an estate with reduced running costs, increased environmental performance and improved safety and accessibility. 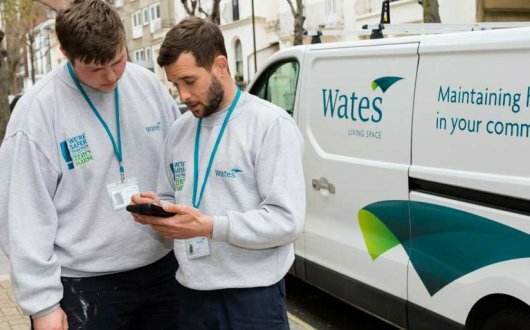 ‘Meet the buyer’ events to be held all over the country giving potential suppliers an opportunity to meet with Wates and be involved in the Northern Estate Programme.